February seemed to come and go quickly, with some exciting activity both internally at the IEPCP and externally. We have successfully recruited Steph Ashby to the IEPCP team. She starts 19 March as Prevention Coordinator, coming from the City of Casey in a Senior Health Planner role, and may be known to some from her time at Monash Health. The IEPCP has also become a member of Gender Equity Victoria (GEN VIC) this year. I represented our organisation at the GEN VIC AGM, where the extensive work by IEPCP partner Kristine Olaris (CEO of Women’s Health East) in establishing and convening this peak body was acknowledged. Kristine has now stepped down, and a new Board has been instated. I also was fortunate to attend the VicHealth Symposium “Behavioural Insights and Gender Equality” to listen to leading international thinker Iris Bohnet: with the big take home – to advance change we need to go beyond behavioural interventions and focus on the system. 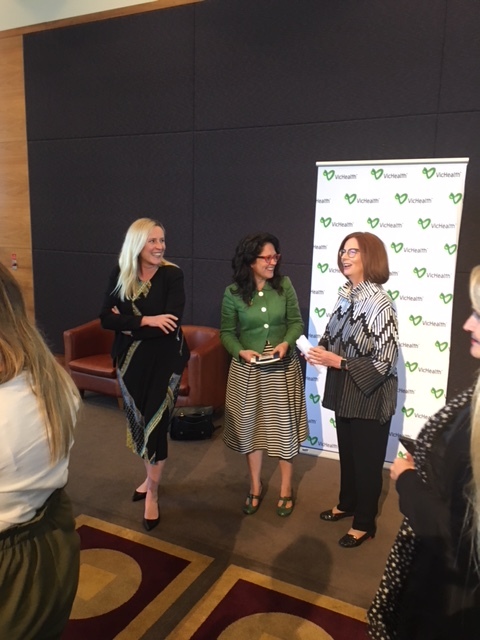 Former Prime Minister Julia Gillard also shared her insights into national and international change and progress in the gender space, and some reflection on the domestic and international situation for women’s leadership in politics where there is still much to be done. We also heard from Male Champions of Change representatives who are leading workforce quotas, policies and cultural change in gender and workplace diversity. 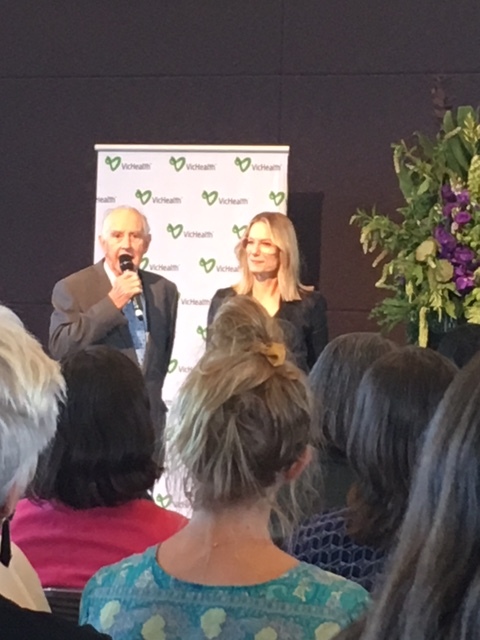 Former Premier John Cain was invited by Vichealth CEO Jerril Rechter, to recognise the extensive work of Vichealth, and was recognised as the leader who established and funded VicHealth in 1987 through the raising of tobacco taxes in a world first! It was a very inspiring symposium, facilitated with humour and probing questions by the popular political commentator Annabel Crabb. The first EMHSCA (Eastern Mental Health Service Coordination Alliance) has been held, and was well attended from across the region. One of the presentations was delivered by Jean Crew from the Outer East PCP on a funded project “Mental Health Access Pathways project” that provided a fascinating and an in depth insight into the Mental Health service system, and pathways for clients with different needs, highlighting where service coordination and streamlining can be enhanced. I also worked together with the Outer East PCP, who have been leading the development of an outcomes framework for The Well – our Eastern region on-line portal for shared practitioner knowledge – now that it has been redeveloped. IEPCP Board member and CEO of Eastern volunteers, Viv Cunningham, has contributed her expertise in outcomes evaluation, and we aim to publish the framework shortly. If you haven’t yet had a cruise around The Well to see what it offers, get on to www.thewellresource.org.au.